Last weekend Poppa was here and we went with our friends to McCall's pumpkin patch. I am not a photographer, so I didn't capture much of what we did...but we had fun. It was warm beautiful New Mexico weather and it was great to be outside, we did soccer in the morning, pumpkin patch all afternoon, it was pure exhaustion by the time we made it home. This is in reverse order from most recent first. We have been having a lovely summer. We play hard. I don't take pictures of half the stuff we do. That's just the kind of Mom I am. My kids don't like to hold still and when I make them, most of the time the pictures are terrible. So all I can hope is that they will hold in their hearts the memories of all the fun we have every day. I do try and get a few pictures though, so when my kids grow up and swear I was a horrible mother I will have at least a few pictures to introduce as evidence in my own defense. Girls Night Out. These are two amazing women and dear friends. My friend Megan on the far right is moving. SAD. I will miss her. It has been a privilege getting to know her. She has a fan in me, and even though our lives will now be lived in separate places I will continue to value the time we had here and the friendship we developed. Swim lessons. I love swim lessons. I almost didn't do them this year, but I am so glad I did. Jeffrey has come a long way! We (and by "we" I mean Dave) helped my Mom stack a load of hay while we were there. This is the closest Dave (middle, baseball hat) will ever get to being the cowboy of my dreams. That's okay, I won't complain, I adore him. Ruby and Jeff playing in the hay barn. Butterfly pavillion with some of our favorite friends. Ruby's Baptism. The whole group. My camera was having problems. But this is everybody. My oldest brother Grant, and my youngest brother Ryan and his wife Clare came to be with us. And of course Nana and PopPop. LOVE these people!!! Ruby's baptism was so special for our family. Dave and I are crazy proud of our firstborn baby girl. We think she is amazing and wonderful. So there you have it. Five posts in one. You are all caught up on the Godsey going ons. Now go post on your blog, so I know what you have been up to this summer. I read an article today that broke my heart. I'm a pretty intense person, so there are a lot of causes that I care deeply about, and find myself frustrated because there seems so little I can do to change anything. Read this article http://www.audubonmagazine.org/incite/incite1105.html And if you don't have time, let me sum up. 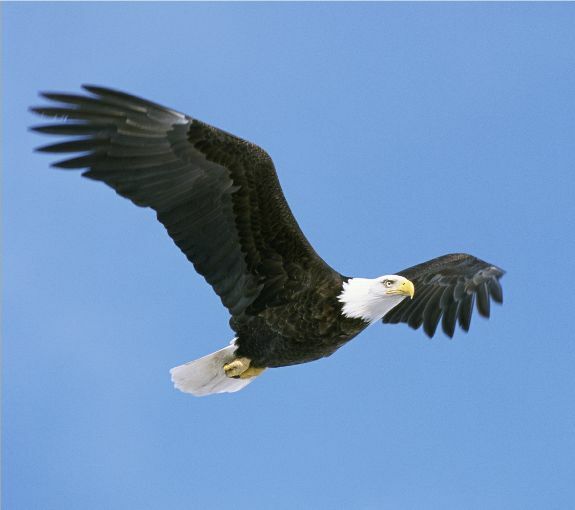 Our countries most beautiful and majestic birds are being poisoned by lead ammunition. I believe in the right to bear arms, but not to destroy our wildlife with irresponsibility. Anyone who loves hunting should love the great outdoors and do something so simple as changing to copper ammunition. In some states the Audoban society will provide it to you free. Please get the word out to anyone who loves hunting or even target practice. I have family that enjoys hunting, I have no problem with it, but please use copper and help prevent the extinction of our eagles and other birds. Okay, for those of you who are interested in what I am up to, here's the scoop. Ruby loved kindergarten, hated first grade, hated 2nd grade. She felt like the day was too long and she didn't get enough play time, and she missed us. She was not having any problems socially or academically. Her teachers were fine, her school was fine, I just found myself wanting more time with her as I watched her childhood going by too fast. I wanted more influence in her life, and more control over her time. I had been thinking about it for a long time, and had always kept it open as an option to present her when she reached middle school (because I think middle school is evil and soul crushing) but as she continued to complain I thought about it more seriously. After Christmas break she finished a couple of weeks before I got up the nerve to finally take her out. It was as simple as walking into the office and telling them my intentions. I took her home that day and we have been educating her here ever since. I think I have missed it more than she has. I keep asking if she wants to go back and so far her answer continues to be an emphatic no. It is basically a giant experiment, I don't really know if it's the best solution. I find that there are trade offs. It is more work for me to sit down and teach a math lesson, but I have less stress overall I think. We have no more homework tears, more energy for soccer practice, and no wasted time driving her to and from school. The best thing to come out of it so far has been the friendship her and Calvin have developed. She was gone everyday until almost 4:00, then dinner, homework, soccer, etc. and she never had time for him before. She has become a wonderful big sister and loves spending time with him now that she is home more. For now it is working for us. I will keep you posted on how it's going. Ruby has always been extremely creative, and now that we are homeschooling, she has more time for her creations. Being her mother, and extremely biased, I think her art is brilliant. (Hey Marcilyn remember x-ray bunny) This is cardboard girl. she is cut out of cardboard,has construction paper clothes and some Barbie boots. She came up with the concept all on her own. I wish I had an ounce of her creativity. My Mothers Day was Happy because I am happy being a mother. I may not be the best mother in the whole world( I know many who are better) but I do the best I can. And I am having lots of fun. I do dishes and laundry and cooking so we can go back to playing. I am blessed to have the opportunity to be a stay at home mom, I get to be the one to raise my children, and I love it. We are coming to the end of spring soccer season and Ruby has developed a love for the game. Fall season I could not have said the same thing. We switched her to a different soccer club and they didn't have a U8 team, so they put her on the U9 team with a group of girls a year older, a year bigger, who had been playing together for several years. She was not warmly welcomed. She was an outsider and she hated practice. I can't blame her. But she stuck it out, she was tough and now she is seeing the rewards. She is no superstar soccer phenomenon, but she is dang fast and starting to hold her own. Her team frequently plays U10 teams, and I have yet to see even a 10 year old beat her to the ball when she puts her mind to it. Her team now accepts her as one of their own. I was shocked when I asked her if she wanted to go to a post season practice for a tournament and the answer was yes. She would have done anything including gnaw her own leg off to get out of a practice in the fall. I am glad I didn't give up on her even though many times I was so angry I could have screamed and threatened several times to pull her out completely because I was tired of forcing her to go to practice. We love that she is starting to have a really good time. That's what makes it all worth it.